Whether you need brake repairs or brake replacements on the Gold Coast, Aussie Brakes is more than happy to assist you with quality service you can rely on and prices that won’t break your budget. We understand that your car’s brakes are a crucial element in keeping you safe on the road. This is why we make sure that every customer who passes through our doors leaves with a safe brake system, as well as an understanding of what repairs were undertaken and why. We recommend that you pay us a visit every six months, or prior to embarking on a long road trip. You should also make an appointment to see us if your brake warning light comes on, if your brakes squeal or grind when pressed, if your brake pedal feels hard or spongy when you step on it, or if your car starts pulling to one side when you brake. then chat to us about a custom dyno tune for your vehicle today! There are many points of difference that you’ll experience when you choose Aussie Brakes to handle all your braking requirements. You can rest assured that only fully qualified, skilled and accredited mechanics will work on your car, and that they will do so using the most up-to-date and well-maintained equipment available on the market – in our mechanical workshop and machine shop that’s been equipped to work on all brakes and flywheels. As a result of our commitment to quality, all our work carries a 6 month, 10 000km warranty, as per manufacturer’s conditions. We’re also proud to say that we’re fully compliant with all Governing body and MTAA standards, and we ensure all staff members receive annual training to keep them at the forefront of their field. This is only part of what makes Aussie Brakes different. Unlike our competitors, we pride ourselves on operating a family run business, which means that we care for your cars as if they were our own, and understand that your main concern is to have a car that keeps you and your family safe. When you visit us, we’ll personally be involved in providing you with mechanical and sales assistance, front of store help, as well as delivery. To get your car’s brakes tended to as soon as possible, we suggest you give us a call on 07 55220798 so that we can arrange a time to inspect your car – free of charge and with a further 10% discount on work undertaken if you’re a senior. On average, you can expect to bring your cars in to our workshop (on Ern Harley Drive, Burleigh Heads) on the same day you called, but on rare occasions you might be placed on a short waiting list. Should your car require brake parts, this might add to your overall repair time, and we can also offer you a full mechanical service or log book servicing should you require it. WHAT DO I NEED TO KNOW ABOUT BRAKES? Your car’s brake system goes far beyond the pedal you push. 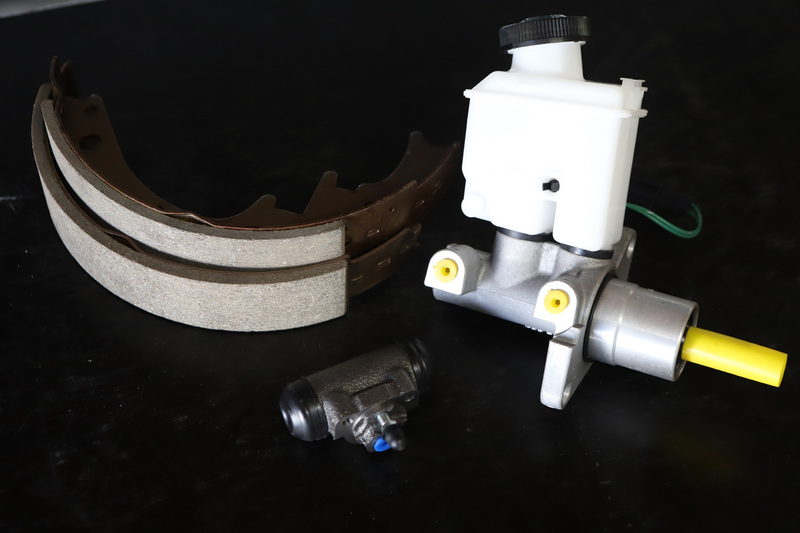 There are internal elements such as your brake booster, calliper, discs, drums, pads, pedals, and shoes that are incredibly important to the overall functioning of the system. You also get your master cylinder and wheel cylinder assembly, brake fluid lines and brake fluid, as well as your emergency/hand brake. There are also dozens of electrical elements (such as your ABS control unit) to consider. Working together as part of your car’s hydraulic system, all the above-mentioned components enable your car to swerve, stop and stay in place. It all starts when you step on the brake pedal. Doing this causes brake fluid to build up and instantly transfer braking power and pressure against the brake pads, which then latch onto the brake drums to slow or stop the car. Modern cars have additional computer controlled safety features such as anti-lock brakes as well as stability control. For more information, simply like our Facebook page, so you can stay up to date on our latest offers and promotions. 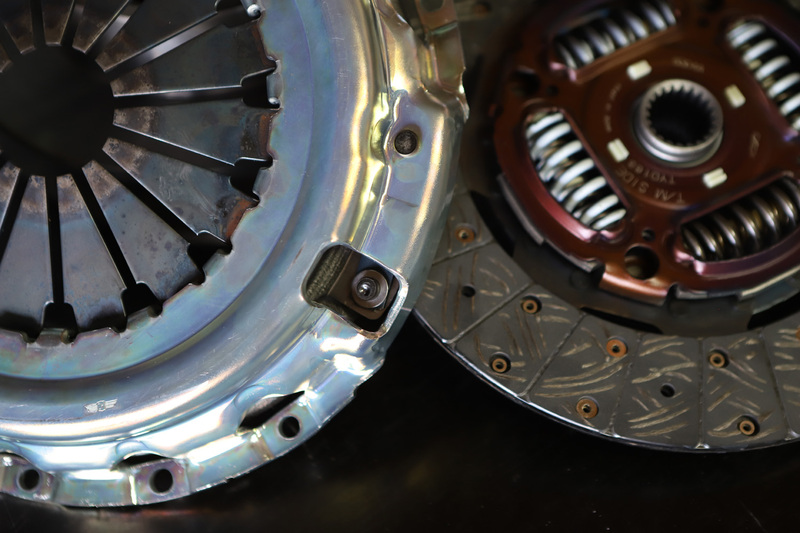 Our preferred clutch kit brands are Exedy OEM replacement kits, designed as the most complete range for all types of passenger vehicles. The Exedy SportsTuff, which is designed to meet the demands of amateur drift, circuit, rally and drift racing. The ClutchPro, designed for professional racing and motor sports. The Xtreme Outback and 4Terrain, for use with all 4X4, all terrain vehicles. These brands have proven to be high quality and suitable for all driving applications.